Looking for last minute gifts this eve. Gift cards are the one, right? Check out some data from our friends at CardCash.com. 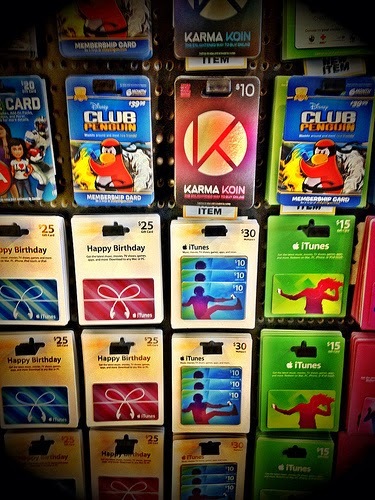 on what gift card should you be buying. CardCash.com, the web’s leading gift card exchange, recently polled nearly 400 of their customers and asked them what gift card they would like to receive this year. If you’re still shopping for Christmas gifts and you’re not sure what to get, gift cards are always a good bet; 80% of Americans plan on giving a gift card as a gift, according to the National Retail Federation. Merry Christmas from Adolfo and Greg.